Shine for my Saviour...: tears.. This is so sweet..... I found it here http://www.friendster.com/photos/3315726/1/551227454 , my friendster pics. I know I rarely cry, but i love crying (thats so weird of me ryt?) yerp, especially when i cried because of hapiness and God. 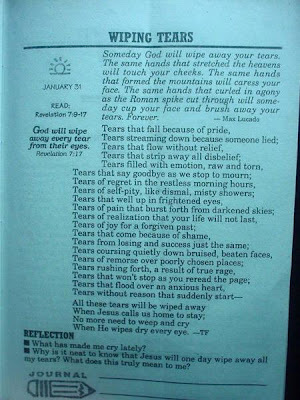 Im waiting til the day the Bible's and Max Lucado's words are totally fulfilled. I can only imagine how will i react when i am standing right before Him..
"will I dance? or would I be able to speak at all..."
All I know is "that is Oh, so beautiful"..